Because God has sent His Holy Spirit to live in you once you put your faith in Him, He wants us to have peace. God wants us to have hope despite the hardships we face, because they have a purpose and so does He. May God continue to bless you as you go on the journey of a lifetime discovering the truth of Who Is God, Really. Today we investigate Who Is God, Really by looking at three common lies people believe about God but may never tell anyone. These ideas are based on the book, Lies Women Believe by Nancy Leigh DeMoss, but they are certainly not believed by just women. As we look at these lies, we study the truth that comes from God's Word and how living based on the truth can change our lives. As we continue through the middle of our series on Who Is God, Really we come to a story of Close Encounters of the God Kind. What's remarkable about the story is that God chooses to use not just a criminal, but someone who is unqualified and certainly unable to do the task on his own that God gives him to do. Listen in as we look at a familiar story from Exodus 3 and consider who God Is and how He chooses to use people even today. 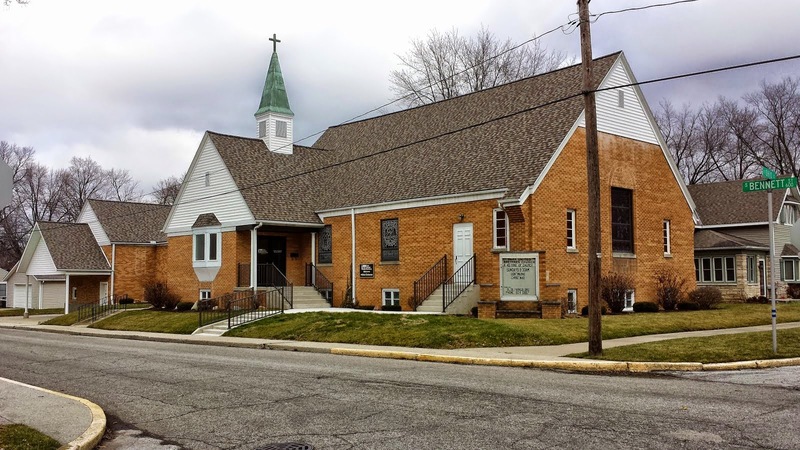 Today we look at another aspect of Who Is God in light of two very real issues facing our world today - domestic violence and bullying in our schools. Are the problems that big? Does God care? Does He want us as believers to do something about it? The truth is, yes the problems are that serious, yes God cares, and yes there is something He wants us to do. In many ways, we have gone away from what God teaches us about relationships. It's not just about teaching right from wrong, but teaching about love and grace. Listen to today's message to get hope if you're in an abusive relationship and what the rest of us need to think about in light of what Jesus has taught us. 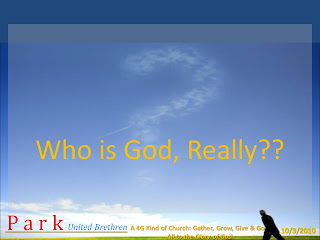 This week we start our new series on Who Is God, Really? 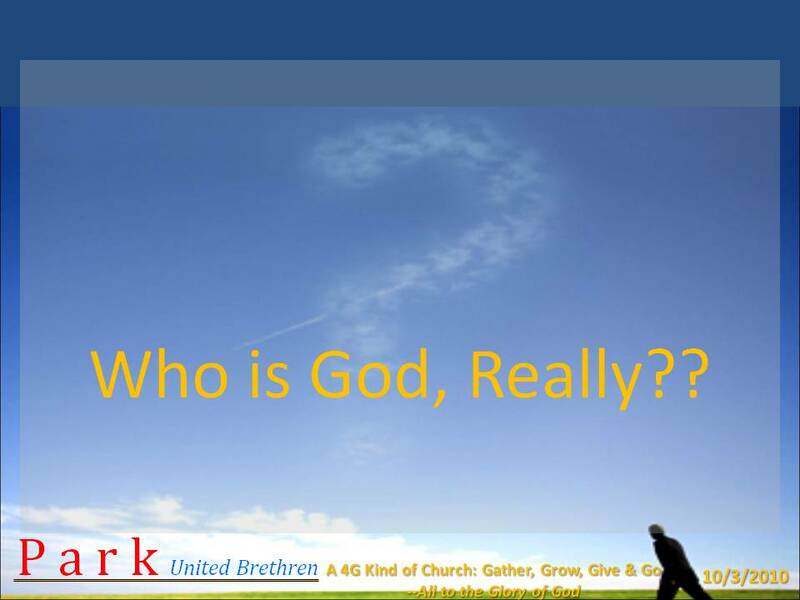 The problem is, many of us may have some misconceptions about who God is and what He is like. I know I sure did growing up. In fact, I came to the point where I was convinced God didn't exist. I don't think that way anymore. I had a lot of questions, and found the best source to answer those comes right from the Bible. Too bad sometimes people go looking in the Bible to make it say what they want instead of listening to just how God describes Himself and His desire to have a loving relationship with us. Today we look at one of those passages in Scripture that focuses in on just who Jesus is and how great His love is for us. Listen in as we look at the beginning of Philippians chapter 2 as Paul describes how our attitude should be like that of Jesus.